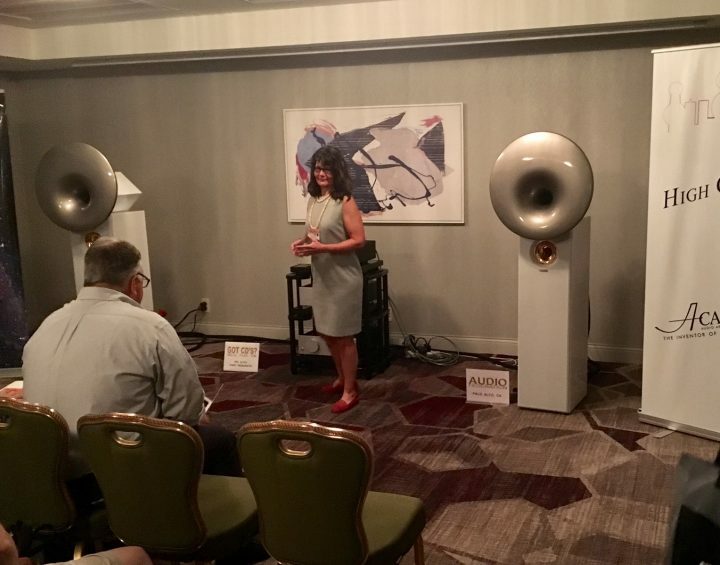 Neli Davis of Audio Federation showed the big Acapellas with Audio Note electronics. As you’d expect, sound was lively, lovely, and warm. 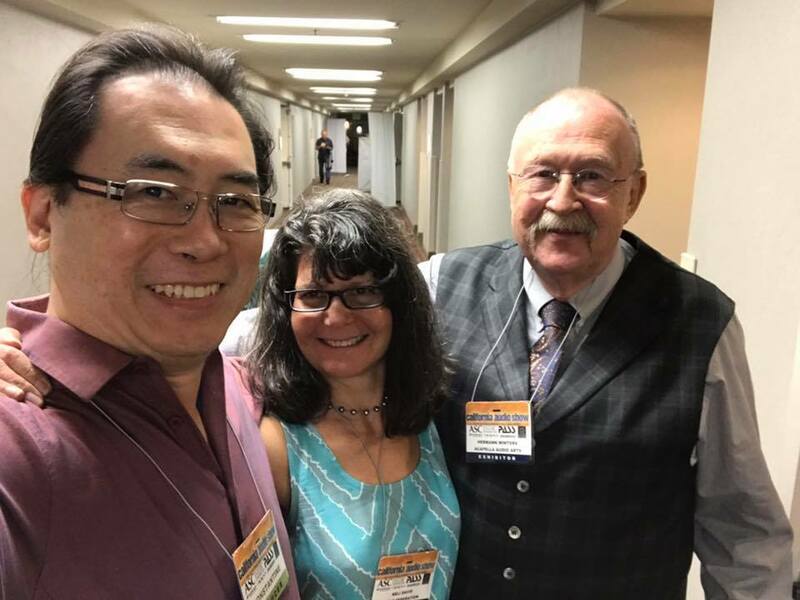 Neli (Audio Federation, of course), Hermann Winters (Acapella Audio Arts) and Constantine Soo (Dagogo and producer of CAS 2017). Selfie taken by Constantine. 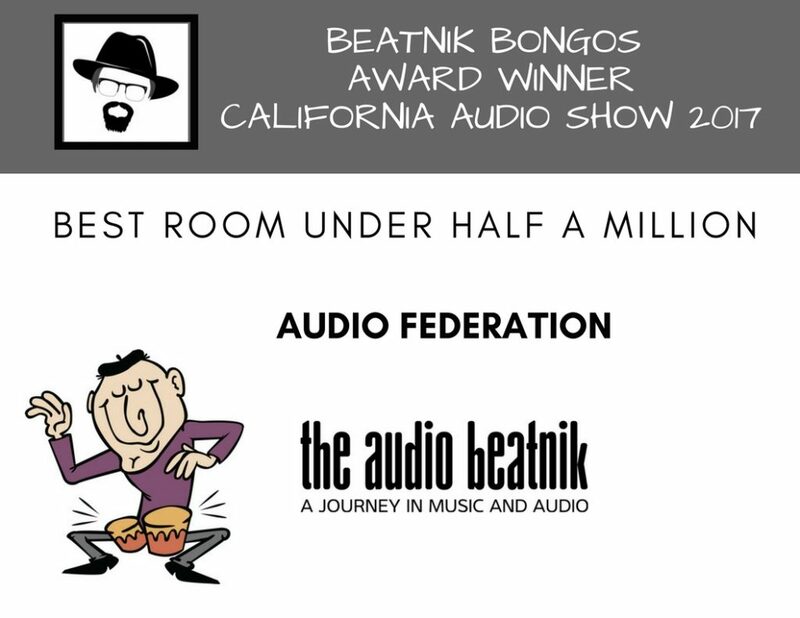 Our many thanks to Jack and Becky at Audio Beatnik. Thank you so much for your kind words. We so appreciate it, and we are happy that you enjoyed our room at CAS. It was a fun show for us, too.